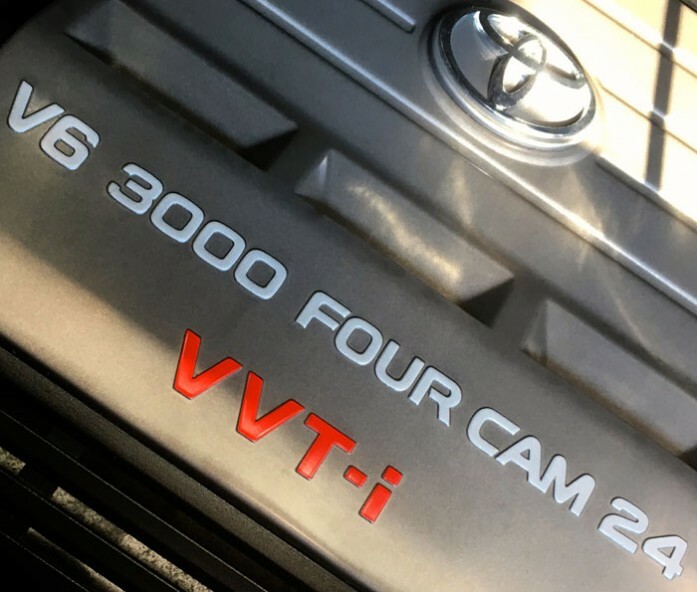 Power comes from a choice of either 4 cylinder 2.4 litre 16 valve or V6 3 litre 24 valve engines, the latter also having been used in, amongst other Toyota manufactured vehicles, the Lexus ES 300. Generally recognised as being extremely smooth, these units are also known for their great reliability. Coupled with an effortless 4 speed automatic transmission the Alphard offers comfort in abundance. 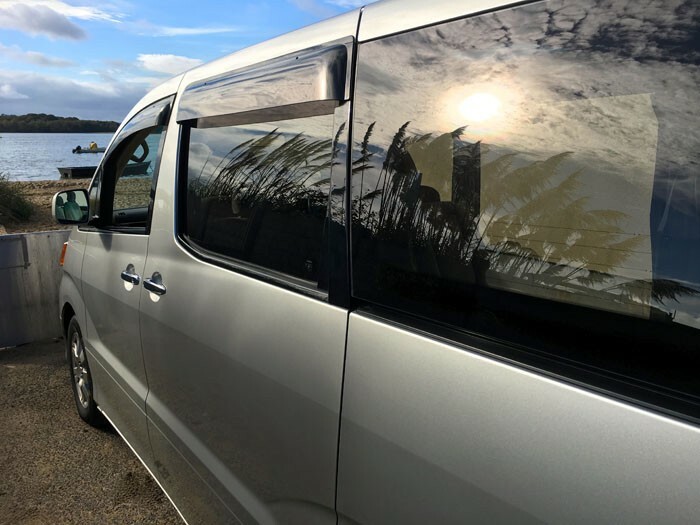 Equipment levels are exceptional, every function being electrically operated and power assisted. 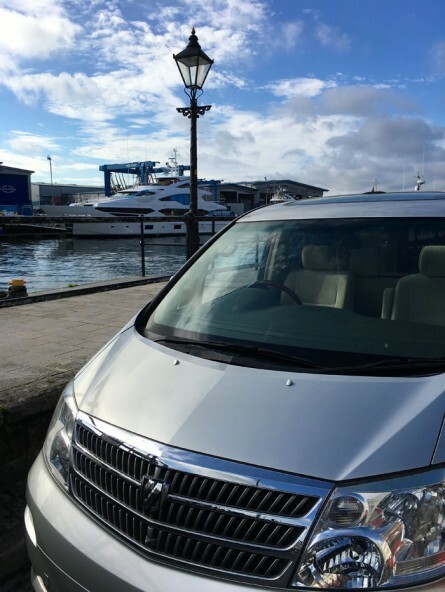 As Imperial Leisure Vehicles specialise in sourcing the highest grade, lowest mileage vehicles many Alphards we import are of a higher than normal specification, complemented by many other luxury bonuses. 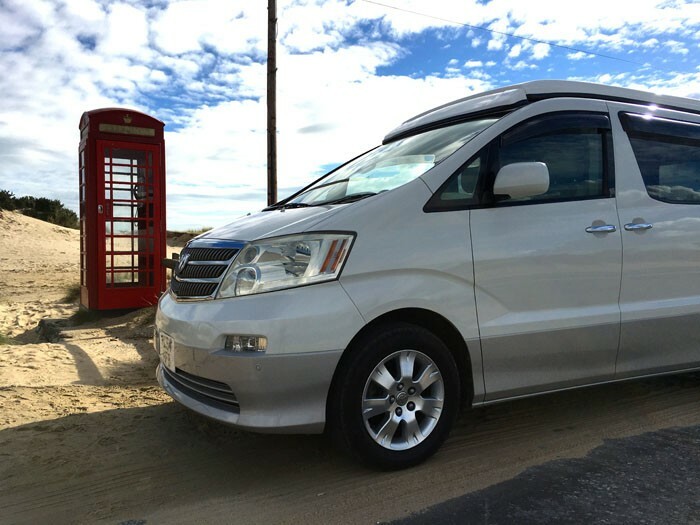 Originally designed as a sumptuous car for carrying passengers in comfort, not as a goods vehicle which has had seats and windows added, the Alphard provides a previously unfound level of luxury far exceeding that expected in any van-derived motorhome. Add to this an equally impressive unique Imperial conversion and you will be driving off in unparalleled opulence. Colour coded gas assisted lifting roof with sleeping accommodation, UK spec double din touch screen radio/CD/DVD player with integral sat nav Bluetooth and USB connectivity, tow bar with single/twin electrics, bike rack, Porta Potti, silver privacy window screen set, blown air heating, English handbook, Waxoyl treatment, Dorchester side camper conversion, Purbeck rear camper conversion. We believe your safety and that of your passengers is of paramount importance. 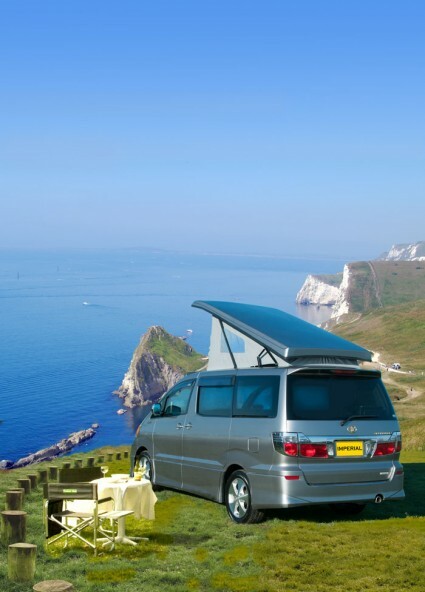 For that reason our Purbeck conversion retains and utilises the Alphard’s fully crash tested factory fitted middle seats. With the original outer 3 point seat belts & middle lap belt up to 5 people can be securely carried in absolute comfort. 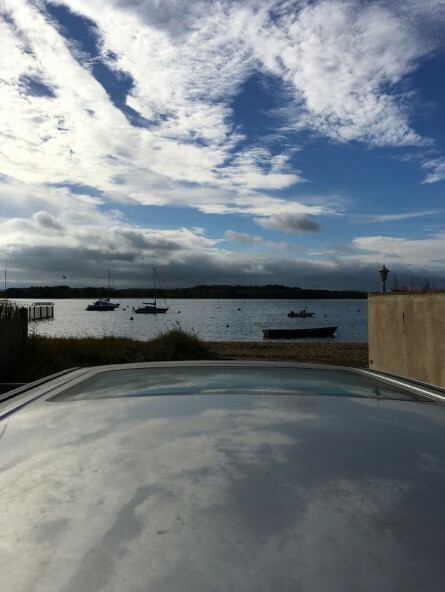 Add to that two integral ISOFIX mounts, the internationally standardised child seat fitting system, and you have the protection of the quickest, easiest and safest way to carry your family. 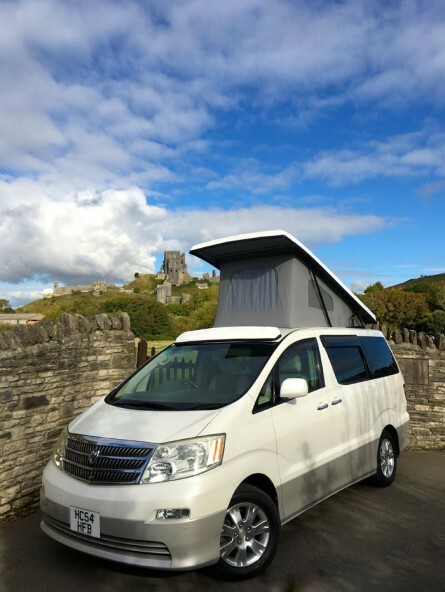 We have chosen for our Dorchester conversion the security of crash tested rock & roll seating complete with two 3 point seat belts and integral head rests which quickly and easily folds down to form a perfectly flat luxurious double bed. Neither comfort when lounging and sleeping nor safety and security on the road have to be compromised in the Dorchester. 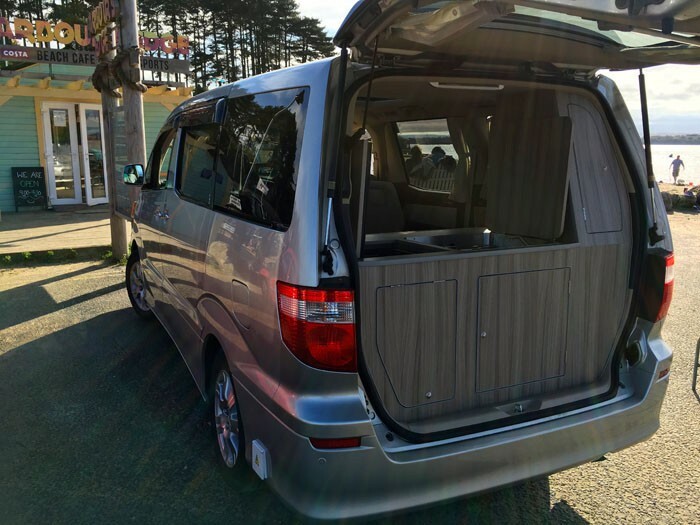 Another reason for the superior condition of Japanese imported vehicles is the mandatory 'Shaken' (warranty of fitness) test that all Japanese cars must undergo. This test is far more detailed than any European inspection. The Shaken that comes with a new car in Japan is valid for three years, but must be renewed on a biannual basis. This rule is strictly enforced and the massive cost of renewing the Shaken, compared to low new car prices is a huge incentive to Japanese drivers to trade their cars in. Japanese radios are designed to receive from 76MHz to 90MHz only and we have very few stations in that range. 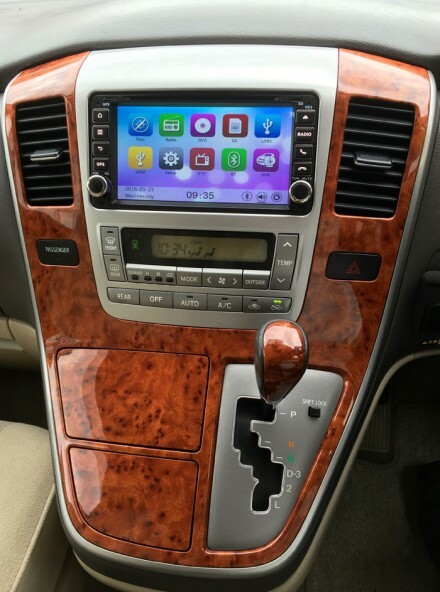 Toyota equipped the Alphard with high quality radio/CD players, often with steering wheel controls, DVD, front and rear colour parking cameras and satellite navigation incorporated into the head unit. Whilst the sat nav system can’t be reprogrammed for European use - it only speaks Japanese! - a ‘Band Spreader’, fitted as part of our conversion specification, is the simple answer to enable you to tune in to more UK national and local broadcasts. This has the added benefit of retaining the use of steering wheel controls and parking cameras, if fitted. Alternatively, you can choose an upgrade to a UK radio. 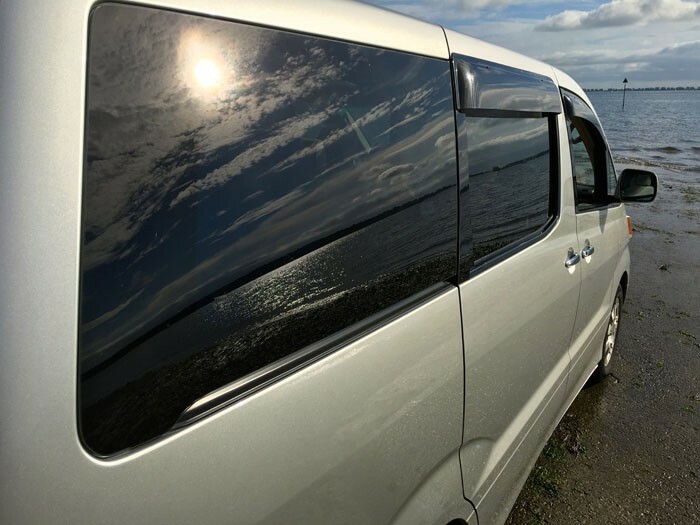 We offer a number of options ranging from a simple radio/cd player to a fully specified unit featuring Bluetooth and USB connectivity, RDS radio, cd, dvd, UK and Europe Sat Nav and touchscreen operation. 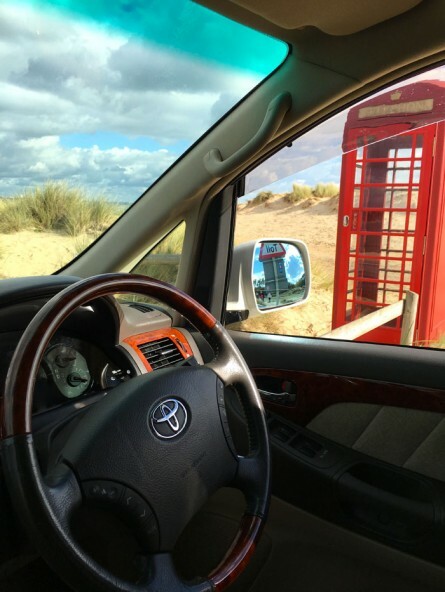 We can even utilise the original steering wheel controls and parking cameras in most instances. Japanese speedometers are calibrated in kilometres per hour. 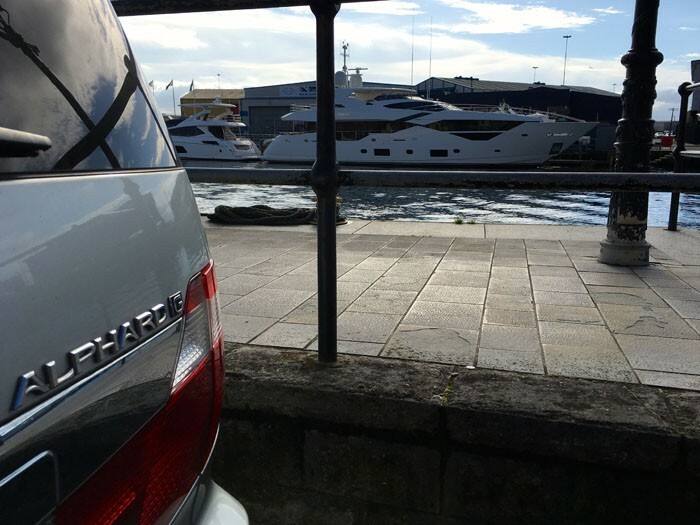 At Imperial we fit all our Alphards with an electronic converter which enables the speedometer to indicate in miles per hour. Because the odometer starts to record the distance covered in miles rather than kilometres from this point, we provide a document showing the date and odometer reading when the converter was fitted along with a simple formula for calculating the total reading in miles. 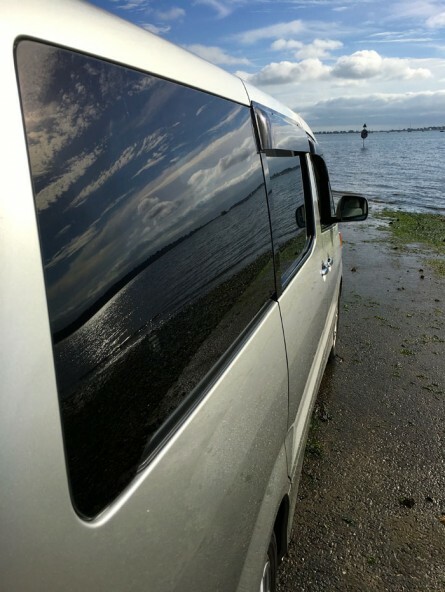 Every aspect of servicing Toyota Alphards can be carried out at our premises in Poole from Monday to Friday, excluding bank holidays. Our workshop partners can attend to MOT tests, servicing, timing belt changes and mechanical repairs. Our bodyshop partners can assist with accident and cosmetic bodywork repairs and Waxoyling. 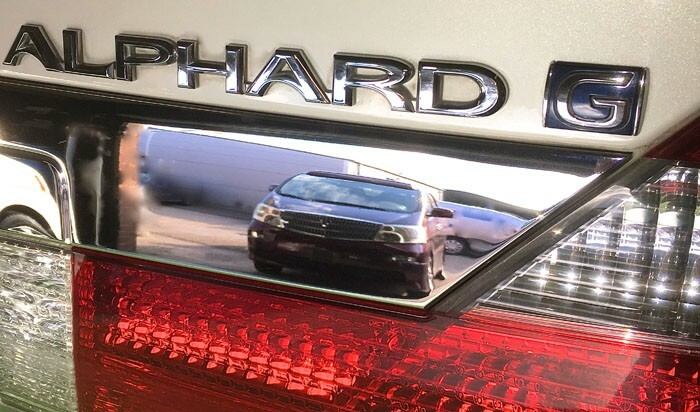 Most UK Toyota main dealers, as well as several independent specialists, are equipped to identify and supply spare parts for the Alphard range of vehicles. Getting cover for your vehicle is not a problem. Highly competitive premiums are available from many leading insurers. Call us for information on 01202 631500.